Delivering quality air for over 30 years. ACG was established in 1986 and is still a privately owned business, headed up by its founder Cliff Goulding. In over 30 years in business there isn’t a building project we haven’t seen or built, and we are proud to have helped deliver some of Melbourne’s most iconic building projects over that time. The quality of our work can be measured in two ways; through the calibre of our design and our reputation for delivering on what we promise. We never fail to look at the design alternatives, and we’re not satisfied until it works for everyone. From design documentation to delivery, we we can find ways to make the design more effective, while finding cost savings for builders. Quality air, delivered. It's the ACG way. Meet some of our Key staff. ACG's team is experienced and knowledgeable, but the trait that sets ACG apart is that they care. They know that every job done well creates job security and strong customer relationships. From humble beginnings over 30 years ago, Cliff has built an enviable, industry-leading business, focused on exceptional project delivery and enduring customer relationships. His "keeping it real" attitude ensures acountability, honesty and commitment to customers and employees alike. When not in the office, you will likely find him following his passion for surf lifesaving, coaching and competing around Australia and overseas. Vince is an integral member of the AC Goulding family and has been with the company for over 20 years. 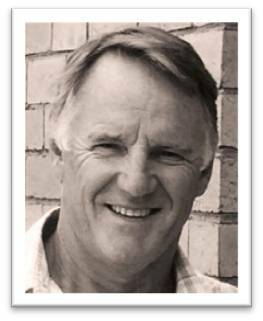 Taking out the "trade trifecta" he is a registered builder, plumber and electrician ensuring a wealth of knowledge and expertise to our construction projects. Vince ensures his construction crews work collaboratively with other onsite trades to ensure quality installation delivery, on time and on budget. .
With a Bachelor of Engineering and Nebbs Certified qualification, Sam brings knowledgeable and innovative solutions to our design and construction clients. With responsibility for managing our engineering and drafting team, Sam delivers seamless engineering and estimating services to our clients from the initial project brief and design, right through the construction phase of the project. With over thirty years industry experience both locally and abroad, Andrew, from a predominately chiller background with OEM experience, has a “Can Do” attitude, is constantly seeking ways for continuous improvement to enhance the customer experience.